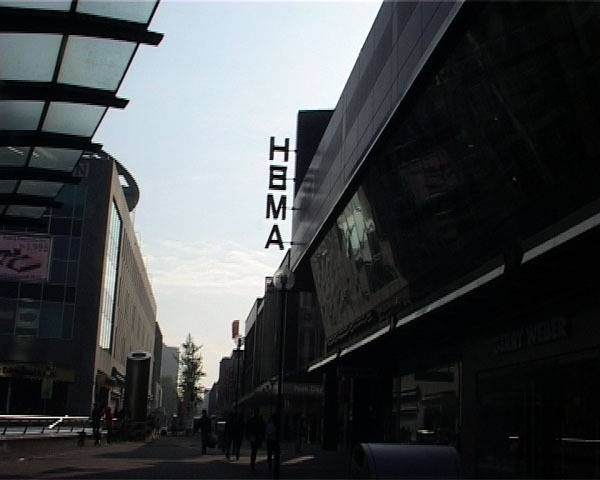 The video “A Hole in the Whole” (2008) is representing footage of a fifteen minute walk from the studio, through the building outside to the courtyard, on the street and the sidewalk to the actual sign HEMA on the square. 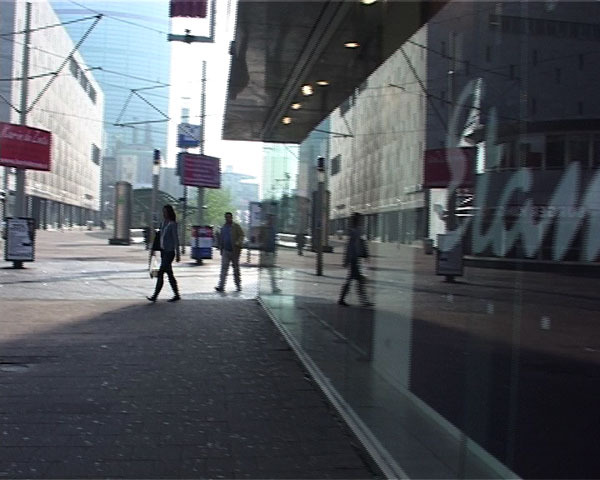 The video reveals Rotterdam urban routine at 9 a.m., while the simultaneous voice of the invisible walking “eye” meditates on one’s own experience and the possibilities to transgress systematic violence of the state that resulted in the dismemberment of Yugoslavia; it also opens up the questions of personal attitude and striking a position by a person who grew up with such experience. This piece gains strong impact when performed live.